Just like you wouldn’t build a house without a blueprint, you shouldn’t begin cutting your car block without a car design plan. Pinewood Pro’s car design plans show to cut your car with step-by-step 3D images so you can’t make a mistake. Plans include cut out templates, speed hints, weight placement, painting schemes and more. Best of all, you can download your cool car design plan instantly! The Flash - Pinewood Derby 3D Design Plan - INSTANT DOWNLOAD! Batmobile - Pinewood Derby 3D Design Plan - INSTANT DOWNLOAD! Spongebob looks funny, but nobody denies his speed. Lightning Mcqueen has never lost a race. Firebird Trans Am - Pinewood Derby 3D Design Plan - INSTANT DOWNLOAD! The Firebird muscle car speeds to the finish line. Police Car - Pinewood Derby 3D Design Plan - INSTANT DOWNLOAD! The competition pulls over for the Police Car! The Tank crushes anything in its way. Skateboard - Pinewood Derby 3D Design Plan - INSTANT DOWNLOAD! Spiderman - Pinewood Derby 3D Design Plan - INSTANT DOWNLOAD! Nobody catches the Spiderman car...nobody. 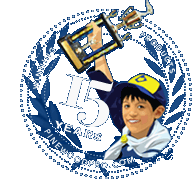 NASCAR - Pinewood Derby 3D Design Plan - INSTANT DOWNLOAD! Swiss Cheese - Pinewood Derby Car Design Plan - INSTANT DOWNLOAD! Who doesn't love Swiss Cheese? Fast, simple, cool and creative. Rocket to the finish line! Blue Lightning - Car Design Plan- INSTANT DOWNLOAD! Fly down the track like lightning! The Ripper will kill the competition to the finish line! Minion- Pinewood Derby 3D Design Plan- INSTANT DOWNLOAD! Minecraft - Pinewood Derby 3D Design Plan - INSTANT DOWNLOAD! Designed to layback and cruise to the finish. With over 30 car plans, we have something for every car builder from simple car designs, like our Swiss Cheese car, to more challenging designs like the Star Wars X-Wing Fighter. Many Pinewood Pro car design plans have resulted in cool cars that have won design awards. These car design plans are PDF files that you can download and save to your computer or mobile device instantly!